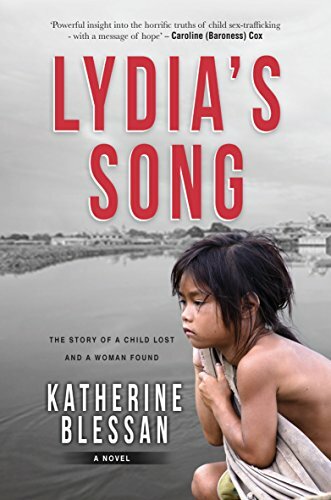 Lydia’s Song by Katherine Blessan is a Christian novel dealing with the evils of trafficking and child prostitution. It is difficult reading but as these things go on, we do need to be aware of them. The novel has two time periods… 2036 and thirty years earlier. The action is seen from the viewpoints of Lydia, an English teacher in Cambodia and ten year old Vietnamese Song. The story, begun in 2006 is completely wrapped up for the reader at the end. The reader is also educated in the history of Cambodia and the Khmer Rouge for those who have not grown up hearing the troubles and corruption on the news. There are themes of love and forgiveness, evil and suffering. As well as being introduced to the heart of God. I was surprised at some of the language used and some of the explicit details, in a Christian novel, not what I usually expect to read. The subject content made for difficult and distressing reading at times. As Christians, we do need to be aware of the evils in the world. The novel shows that there are both good and evil people in the world, and over them all is a God of love. Lydia’s Song was a compulsive read. It was definitely not an escapist read but gritty and realistic with difficult and distressing content.